Early investors are not the only ones getting rich from cryptocurrency. 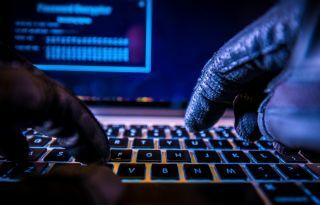 With the rise in popularity of Bitcoin and other cryptocurrencies, hackers have begun to target individuals and businesses using a number of tactics according to a new report from cybersecurity firm Digital Shadows. Over the last two years, interest in cryptocurrency has expanded beyond enthusiasts and now digital currencies are seen as investment opportunity by many. Cybercriminals have capitalised on the popularity of Bitcoin and other coins using a number of tactics including 'crypto jacking,' account takeovers, mining fraud and scams surrounding initial coin offerings (ICOs). Crypto jacking for instance involves taking over another computer's browser to utilise its CPU to mine against the user's will. The software used by hackers to accomplish this feat has even grown so advanced that they can now clone popular websites to trick users into giving up their system's resources. Digital Shadows also highlighted how botnets comprised of both PCs and mobile devices are once again being used to mine cryptocurrency. They were first used to do so back in 2014 but were not profitable at the time. Now thanks to coins such as Monero which are easier to mine, botnets can be rented online for as low as $40. ICOs are also popular with hackers due to the amount of funds invested into them by users. Instead of selling fake tokens though, cybercriminals prefer to target legitimate currencies by directly stealing funds from an ICO or through price manipulation using “pump and dump” schemes. While investing in cryptocurrencies can be quite profitable if done securely with the right prior knowledge, users should ensure the security of their devices is top notch as well their understanding of each particular coin before investing heavily.